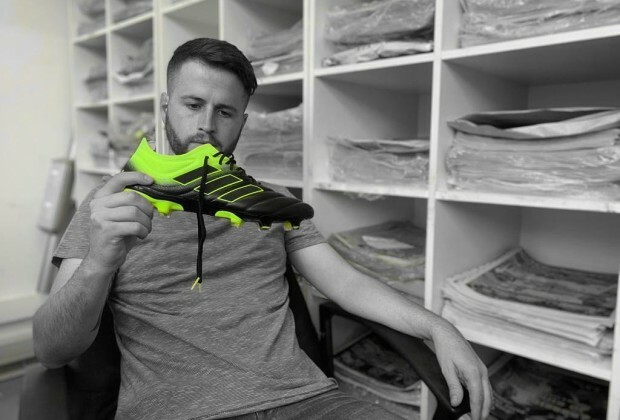 The adidas Copa 19.1 FG has arrived, and one of South Africa's top soccer journalists has already taken to the field with them. As is normally the case with the sports powerhouse that is adidas, its new release has exceeded all expectations. Here is our full review! Click through the mini-gallery above to see some pictures of the Copa 19.1 FG. adidas has been knocking it out of the park with every new release and you won't be surprised to hear the Copa 19.1 FG is no different! I was fortunate enough to be asked to test and review the new boots, an offer I obviously couldn't turn down. There's no better feeling than getting a brand-new pair of boots to rock before the start of a new season, so the timing just happened to be perfect too! Taking them out of the box, I immediately knew these were the boots for me. Although the Copa 19.1 FG comes in a variety of colours, I was given the perfectly-meshed black and yellow pair to try out, and luckily for me, this was my favourite scheme! On the appearance, I was delighted to see the iconic adidas stripes return to the outside of the boots, while the Copa 19.1 FG also comes with a lacing system. As a traditionalist, I was over the moon. Like a custom-fitted glove. The Copa 19.1 FG wraps itself around your foot like a reassuring hug. It grips your foot like you've never felt before and that's largely down to the stretchy Monotongue, which provides you with that secure, sock-like experience. Inside the boot, at the heel, is foam padding that offers unrivalled comfort, while the OrthoLite sockliner gives you pillow-like cushioning and its unique moisture management system. I've worn countless pairs of boots in which my foot felt unstable, but the Copa 19.1 FG doesn’t move an inch once you’ve tied your laces. Click here to enter a competition with adidas and stand the chance of winning a football hamper worth R3000! Every footballer, amateur or professional, is under no illusion that a specific pair of boots can prevent a poor first touch. However, with this range, the ball truly feels like it is glued to your foot. Aside from its breathtaking Fusionskin branded design, the soft Kangaroo leather is effective in that it allows the ball to get closer to your foot than ever before. You're now in absolute control. Would I recommend the Copa 19.1 FG? If you're on the hunt for new boots, whether it's for the upcoming winter season or for your weekly kickabout with your mates, these are perfect. adidas has aced it yet again with the Copa 19.1 FG, producing another pair of boots that are as comfortable as they are aesthetically pleasing. They look good, They feel right, and you'll feel the part by simply just putting them on and lacing them up. Goalkeepers, defenders, midfielders and strikers – these are the boots you need. Click here to visit adidas' website!